You’re about to invest in a high-tech energy saving device constructed with the next 10, 20 and even 30 years in mind. You deserve transparency and need to be sure that like-minded people have had successful outcomes through investing their hard-earned money. Review and see the outcomes of other astute local shoppers below. When we changed over to NBN I struggled to re-enter the password. Rheice came by in his lunch hour and fixed it in 2 minutes flat. PSW Energy installed my new solar energy return system yesterday. The crew who came out were a delightful group of young men, who were very professional, polite and explained everything very well. They even noticed that I had a small issue with a separate section of my roof and I was immediately contacted by Penny-Lee to pass on the number of someone who would help. I have no hesitation recommending anyone to employ the services of PSW Energy. Amazing Service. Our old inverter failed over Xmas/new year and PSW came to the rescue. We were able to talk through our issue over the phone, get a very competitive quote and have a new inverter installed within days! Thanks again to the team. Your customer service is brilliant and the new inverter is working a treat. Your help to sort my solar problem was something you should be proud of! All of my issues were handled with great professional service and my fried inverter was replaced with ease! I will recommend you to all friends and family. I’m so glad I got PSW to replace my broken inverter. They were very prompt and efficient in responding to my call for help. Derek was open and transparent in providing me quotes and a variety of choices for suitable inverter replacements. Prices were very reasonable, unlike another company I called earlier that wanted to charge me more than the price I paid (eight years ago) for my entire solar system, just for replacing the inverter! Penny is a delight to talk to, in arranging the installation date and settling the payment arrangements. Her laughter is infectious! Rheice did a great and clean job of replacing the inverter. Everything worked out well and I’m very happy with the team at PSW for a job well done. Great service from the guys from Perth Solar Warehouse who installed our Fronius inverter and LG panels they did a very professional job. Hats off to Penny-Lee and Reema who also did a professional job of taking care of the Western Power/Synergy connection and accounts side of things for us. Very happy with the entire service from the team at Perth Solar Warehouse and now two weeks down the track our new PV solar system is generating lots of KW for us. I couldn't be more impressed. From the first tentative enquiry through the selection and installation of our system the people at PSW have been thoroughly helpful and professional and their knowledge of their business is very impressive. Their service is comprehensive and seamless; handling everything from start to finish and keeping us informed along the way. I will have no hesitation in recommending them to anyone interested in installing a solar energy system. A big thank you to Penny-Lee for all your endeavors at Xmas, a time when most people were having parties, but you were helping us to see if the solar was working with your direction on the phone, which even though it was fruitless we thank you. The technician (Blake) who was sent out today was very prompt and helpful and found the solution to make it run smoothly again and was a very polite, well-manned young man who would make any Mum proud! A true after sales service, second to none with a star rating 5 out of 5. We thank you again. We were so satisfied with the prompt, reliable and honest opinions and work ethics. Great people skills, the job is well done. I would definitely recommend this Company to everyone. So happy with the results. Speaking as someone that has just had my third solar installation since 2007, the first two were by National companies. I cannot speak highly enough about PSW as a local Perth company from the salesman to the CEO. If you are serious about getting a quality product for the very best price (not the cheapest), as PSW (unlike many others) include a quality installation which they guarantee the workmanship for 10 years (most are seldom more than five). 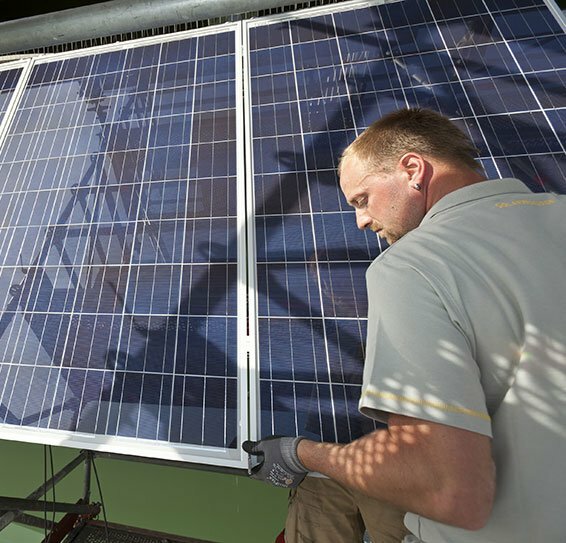 Aftersales is seldom discussed when customers think Solar, however, there aren't many companies that actually have there own service department. PSW don't subcontract, they are all company employed. This means you aren't dealing with anyone except PSW for the life of your system. If you also include Solar analytics to monitor your own system (highly recommended as it gives more data than most and can detect performance issues), PSW also keep tabs on it so that your installation performs at it's very best. They really care about you as a customer, and they don't charge the customer monitoring fees as some other companies do. They only supply components that they know are reliable and respected in the industry, so you have trouble free solar power. PSW had everything installed in just over a month from the day I decided to use their services. This included Synergy and Western power approval and even completed the warranties after the installation so you the customer don't have to worry about it. This was all done without fuss or delays which I have experienced on other occasions. The install took two full days due to weather and size of the installation, and it was operational the afternoon of the second day. It is an east-west installation and currently generates power from 5.35 am till 6.40 pm. 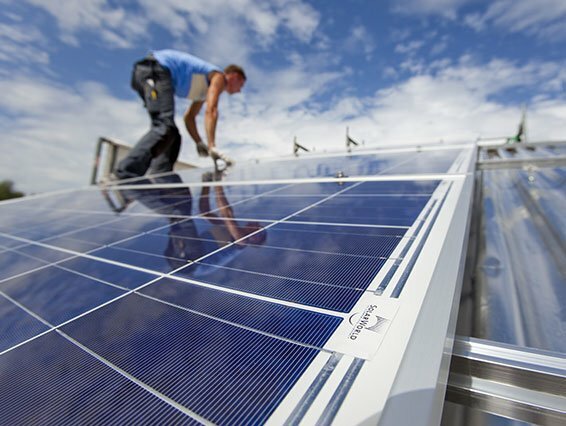 There are many shonky companies selling and installing Solar that may, or may not be around in years to come (I am presently in legal action against one of them). 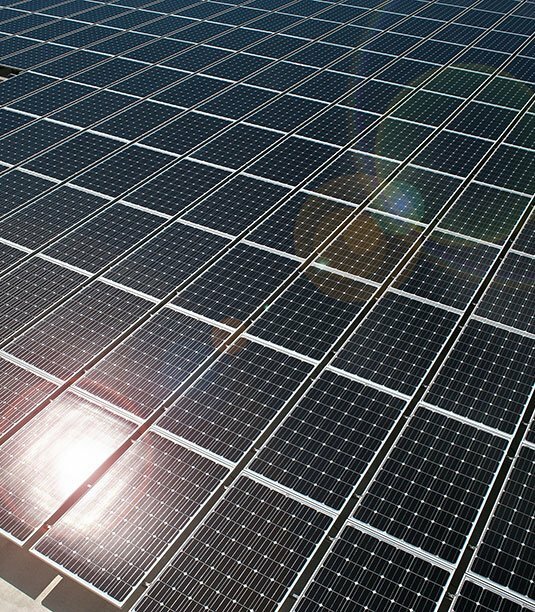 I am glad that PSW is one of the few companies that give the Solar industry credit. So when you have done all your research, got your best quotes from all the other Solar companies including National ones, give PSW a call and see what they can do for you. Derek McKercher, Penny-Lee Griffiths, Jesse Brown, Rheice Shaw, Richard Oliver, Blake Pellington, Blake Collins, Alec Squire and Lisa James. I have no association with PSW, and I have no ties to the solar industry, but if anyone would like further information, or discuss anything in this review, I give PSW permission to release my contact details on a case by case basis. I would highly recommend PSW, exceptional service and worry-free installation. I requested a quote for a 5Kw system, but Jesse informed me it would be an overkill after submitting my usage data. We opted for a 3.3Kw system and top of the range panels and inverter. The installers had some bad weather during installation, but no problems, the job was done safely and in a few hours. All rubbish removed after the install. Great job and service guys. Great service especially from Jesse who took the time and effort to source and order the 3.5kw inverter from the manufacturer. Much appreciated. Thoroughly satisfied with the installation. The technicians were professional and courteous on the day and did not leave until the job was complete well into the evening. They were happy to answer many questions through the day and adhered to safety best practices. The installation has performed fantastically with the first two days of solar power achieving double of our normal daily requirements. In addition, the team is prompt on email feedback and queries. Dealing with PSW Energy was a pleasure from start to finish, sales, Installation team and Penny Lee a great experience their knowledge professionalism and friendly attitude exceeded our every need in understanding the whole Solar exploration. Be sure to Go with these guys you will not be disappointed. Well Done! Keep up the good work. Great service from both sales and installation crew. They were on schedule and were required to remove an existing system prior to installing the new system, a very neat and tidy crew. Product is very good. Thank you so much for your prompt and friendly service especially Jessie who I have been dealing with. He was helpful and cheerful to deal with. Jesse helped me with fixing my Fronius inverter issue quickly and efficiently (Original supplier; defunct). Brilliant! Could not ask for more. Thanks guys for your help, it is really appreciated. 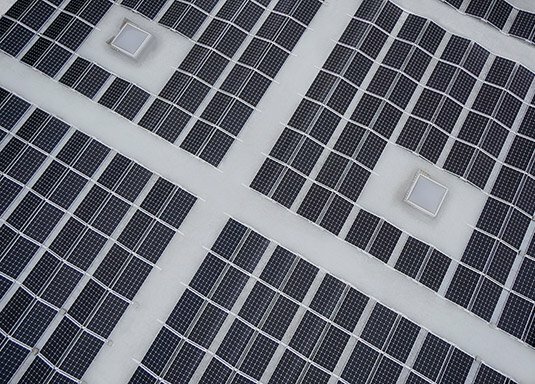 We shopped around as you do when making a fairly significant investment in your property and went with Perth Solar Warehouse after doing the comparisons and getting a recommendation from a trusted friend. The job the boys did on the install was first class. They were able to modify the install to suit our purposes (dividing panels between roof of house and roof of patio) when others said it wasn't possible. Whilst not the cheapest quote they were certainly competitive and the quality of the products, the tradesman, the admin staff and the follow up service can't be faltered and I have no hesitation in recommending PSW should you be considering solar at your place. Excellent service from Neil and the team at PSW. From the first contact through to the installation and the aftercare has all been fantastic. I can’t recommend them highly enough, thank you. Advice with an error message on my Inverter during after hours was very much appreciated. Follow up email tells us this company is all about "service" and we were extremely impressed with Penny-Lee and her advice. A few weeks ago I attended the open day at your Yangebup premises hoping to gain some information on the benefits and latest advances in solar power technology. You spent 20 minutes with my wife and I and we learned a lot. Two days later, at your suggestion, I contacted Jesse Brown to discuss our individual requirements. Jesse was knowledgeable, personable and answered all my questions. He spent a great deal of time explaining the details to me and shortly after I signed a contract and transferred a deposit. Richard Oliver and his 2 man crew turned up on time to install the system. From the get-go, they demonstrated their professionalism and clearly took a pride in their workmanship. The communication from Richard was excellent. One of the crew found a defect in my air-conditioning ducting and fixed it without me even asking. Obviously happy to go the extra mile for the customer. The work was completed quietly and efficiently. Richard gave a comprehensive handover before they left. Any mess was cleared up. Your company was recommended to me by my brother in law. I owe him a beer! Highly recommend to anyone who wants quality solar inverters or panels. The response was quick and friendly. Given thorough understanding of the inverter and why product is reliable. Thanks awesome team. I would be only too pleased to offer very positive reviews, and testimonials, for the Perth Solar Warehouse organisation. I do not however have a Facebook presence (not at all) or Google affiliation under my own name. I do value my anonymity highly, hence not joining in the social networks described hereunder; so I can’t offer anything of value via those mediums. What can be offered however is a spoken or written testimonial, to as many potential customers as your organisation would care to forward. You already have my best contact number. Indeed I have already spoken to a few couples, giving rave reviews, regarding Perth Solar Warehouse. It is sincerely hoped that these reports bear fruit for your company. The company deserves nothing less. I have sent an email to Lanie Chopping of Consumer Affairs seeking information as to a forum that would carry recommendations from consumers. As we already know there is plenty of room for complaints and very little exposure for companies who do the right thing. Perth Solar Warehouse would receive nothing but glowing recommendations from me as to quality product, quality performance, quality staff (at all levels) and true professionalism throughout. I was very happy with the whole process. Tony was very easy to deal with. I liked that he is not a high impact sales type. He let the product sell itself. Jesse and the installation crew were 4 days ahead of schedule. They did a great job with the install and stepped me through the instructions afterward. Thanks also to Penny-Lee and Reema back in the office for taking care of the details and setting up the software. This really has been very easy. I needed some information regarding Solar Battery Storage, after speaking with Derek I am a lot better informed and feel more at ease in making a decision on which system to buy. Thanks, Derek.Regards, Peter. Only the best professional service was given to us starting with the first phone call inquiring about their products. Jesse was very helpful and prompt with explaining and sending info. We were time poor as we were going overseas and wanted to have an Inverter installed ASAP. The electrician Rheece and his offsiders were friendly, efficient and patient when we asked questions. The fact that this was an insurance claim meant there was a lot of phone calls and emails flying backwards and forwards. The admin staff Penny and Lisa only reinforced what a great company Perth Solar Warehouse is and we have been shouting from the roof tops telling others. Thank you so so much we really appreciated every step you took with us. Really friendly team and great customer service, we are very happy with the quality and the care taken to install the system. Excellent service from start to finish and beyond. And the added bonus that like us who are new to it, your not left on your own after install. From start to finish very happy and pleased with the crew fantastic work well done and on time. Thanks to Tony Boscarello and you Penny-Lee for all the information and help given to me. Very happy to have done business with Perth Solar Warehouse and would recommend anyone to do so !!! I must say that the Team you sent to do the installation were some of the most professional crew I have come across. The Boys were nothing short of fantastic. They knew there stuff, nothing was an issue for them, they made some invaluable suggestions regarding fine-tuning to maximize our investment, they were extremely courteous, and went above & beyond in even fixing some loose tiles on the roof!!! They could very easily have just come and done the installation robotically but they didn't and for that we thank them. It was a most enjoyable experience. Please pass on our thanks & respect to them for an amazing job, and please tell their manager that what ever he is paying them he should double !!! Always nice dealing with professionals. PSW sales explained the worst thing to do is nothing, which was correct. Install was done in one day and very professional. Hot water heat pump was delivered on time. Follow up service was very good. Overall I am very happy with PSW. From quote to installation the process was seamless. The communication was first class and the installation team of Rheice, Blake and Alec were fantastic very clean operators after the completion their clean up was excellent. Also the contact with Penny-Lee was exceptional she kept me informed at all stages. I would have no hesitation in recommending Perth Solar Warehouse to anyone.Many Thanks. Thank you...Derek...Andrew....Reice and the delightful Penny-Lee. Your prompt attention to my needs replacing my Inverter was just wonderful....You sorted out my problems with the original inverter in a matter of three days.Thank you all sincerely, Frances Curran/McAullay. 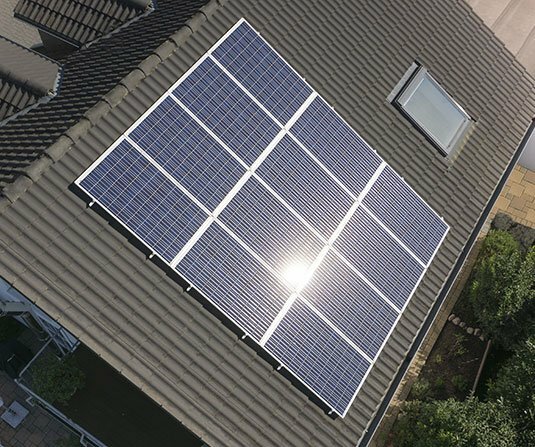 Highly recommend PSW to anyone looking to install solar. Really happy with the sales rep Tony, Rheice and the other installers and even after 2 months of having solar and I've had questions I get prompt replies. Very happy with the service so far from the salesman Tony the office lady Penny and the installers who did an awesome job and cleaned up after themselves throughly. We were aware there are many companies in the market place offering similar systems for a fraction of the cost. Tony Boscarello carried out the initial consultation and explained the product his company was offering and the benefits of installing market leading equipment. We are firm believers of 'You get what you pay for' and wanted a solar investment that would serve our needs for many years to come. The service we have received from PSW has been of the highest standard, the workforce were professional and polite, the job has been completed on time to a high standard with quality materials and equipment. I have been very happy with the entire process from keeping informed in the early stage to arranging and executing the installation. The only issue we had was that the internet cable was not correctly wired and had to be re-terminated. This was resolved very quickly and we now have a very successful solar power system. Apart from the cable problem I would have rated your service as 5/5. Many thanks. From the first enquiry I made on the internet we have dealt with people that have good knowledge and experience, which has resulted in minimum disruption to our day to day activities and a great result at the end. The installation was on schedule and the team have done a very tidy job and ensured we were comfortable with everything before they left, additionally the support that you have provided with information and schedule updates resulted in us having no surprises and assisted greatly with our setup to monitor the system performance. We were very pleased with the young crew that did all the work. Professional, courteous and helpful young men. They are a credit to your team at Perth Solar. Thank you very much. I am very pleased with the level of customer service I received from Perth Solar Warehouse. The quality of the products you provided as well as the high standard of workmanship are to be commended. I am very pleased with my decision to go with PSW. Great job done with the installation and a fantastic German made solar PV system really producing the results now. Thanks to the whole team and your fantastic service and for finding a solution to my unique situation. Great service, great crew ..... slight hick up with the install but the service made up for it. I would recommend them to every one. Very efficient and helpful thanks for your expert service and advice. We would like to pass on our thanks to you and your team for making this whole process seamless and hassle free. From Tony's initial visit through to installation on Thursday everything was fantastic and we will highly recommend you to friends and family if in the market for solar, thanks again. Exceeded my expectations with prompt, efficient and professional service. Would recommend them to anyone looking to install solar systems to there place. Highly recommended, great service, fantastic business! Get all over it! Great service and good crew. Left the place spotless and explained everything at the end, the best gear on the market highly recommended. Wow, Amazing! I’m speechless. The service performed by Derek and the team was second to none. Thank you. Very professional & outstanding customer service. I would have no hesitation recommending Derek & team if asked. Professional, clean, friendly and super efficient. So happy, would definitely recommend! Thanks for the great effort, top job! From start to finish I was completely informed the whole way and feel very confident with the high level of workmanship provided. Thanks for the great effort. Excellent job by Derek McKercher and team, couldn’t be more satisfied that the best possible job was done. Because you are purchasing more than a simple product. Your solution of choice must be assembled to assist the maximum efficiency possible for optimum return on investment. Lack-lustre installation will seriously affect overall performance and safety. Ensure transparency. Never settle for less than what you know is the full picture. Product selection, style & design, superior implementation, trusted guarantees, efficient support and a clear history of customer success. You work hard for your money. Get what you know is proven and produce more energy guaranteed. Your reviews and satisfaction define us. Remove the difficulties in a technical product market. Ensure better products with a 100% customer satisfaction focus. You are not another number, ensure you are never treated like one with technically supportive friends. PSW Energy, Technology & Research Center South.